Arguably Europe’s most prestigious contemporary visual art award is coming to Scotland for the first time. The Turner Prize is awarded to a British artist under 50 for an outstanding exhibition or other presentation of their work in the preceding year. Every other year, the prize leaves Tate Britain and is presented at a venue outside London. For 2015, that venue will be Tramway in Glasgow, an international art-space renowned for commissioning, producing and presenting contemporary arts projects. 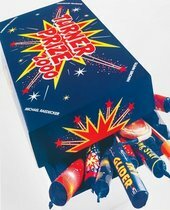 The Turner Prize award is £40,000, with £25,000 going to the winner and £5,000 each for the other shortlisted artists. The winner of the prize will be announced live on Channel 4 on 7 December 2015. Given how many artists from Glasgow have made up the Turner Prize shortlists over recent years, it is great to have the Prize on show in Tramway, which feels like a natural home for the Prize this year. Over the last 20 years, Glasgow and Scotland has gained national and international recognition as a centre of excellence in, and for, the visual arts and for many years artists who are from Scotland or who have trained at the Glasgow School of Art – one of the world’s leading art schools – have been nominated for, or won, the award. In addition to the exhibition, there will be an extensive programme of workshops, talks, tours and activities for people of all ages to get involved and be inspired by the creative work on show. The jury is chaired by Alex Farquharson, Director, Tate Britain.